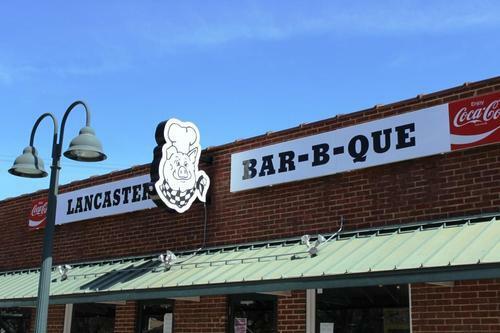 By my count, Lancaster’s BBQ is the fourth Charlotte-area barbecue restaurant that serves Eastern NC barbecue (including Midwood Smokehouse, Bill Spoon’s, and Bubba’s). I promise our dear readers that I will stop being surprised by other barbecue styles in Piedmont-located Charlotte because according to Tom Hanchett, a historian at the city’s Levine Museum of the New South and expert on Southern food, “it is a city of newcomers and we have other people’s barbecue.” In any case, I visited the Huntersville location of Lancaster’s last week because I had not had barbecue in the month of March and I was tweakin’. If you go to Lancaster’s I pray you aren’t annoyed by NASCAR and NASCAR memorabilia. Because it’s literally everywhere. 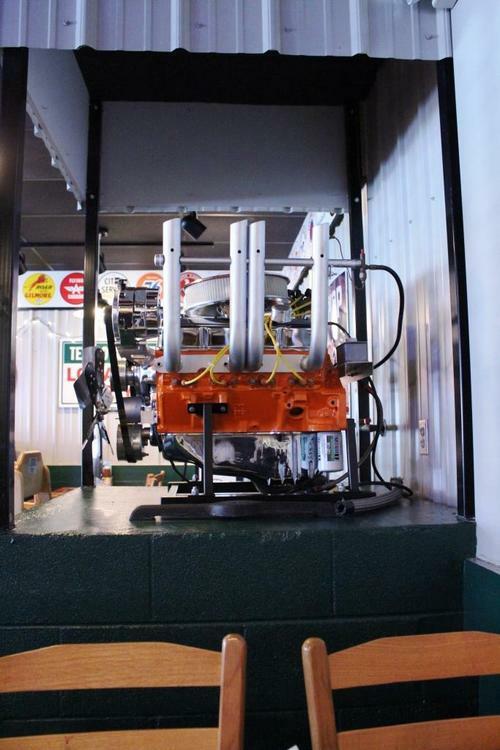 Next to my booth was a car engine, which I had the good fortune of staring at during my meal. 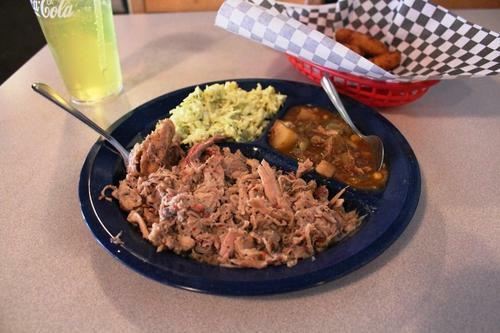 On this Friday, they had a pork barbecue plate special which includes 2 sides and a drink and represents a pretty outstanding value considering the meal is usually $10.75 on its own. Picking that with bbq slaw and brunswick stew as my sides, it wasn’t but 3 minutes later that I had a plate in front of me. Bonus points for quickness. The pork was moist and fairly tender but had little smoke, even in the pieces of bark in my coarsely pulled plate. The two sauces on the table were a vinegar, eastern sauce and a heavier ketchup-y barbecue sauce. I stayed away from the heavier sauce but the vinegar sauce complemented the meat pretty well. Too bad about the lack of smoke, though – likely due to the pork being smoked in a gas or electric smoker. 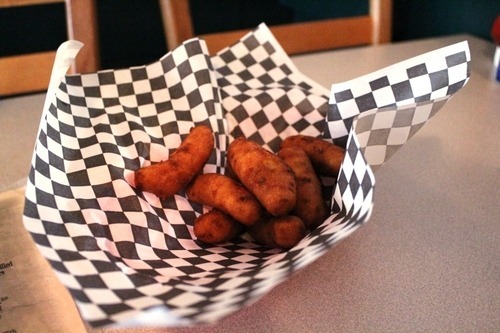 Even before you order, you get a basket of hush puppies and mine were fresh out of the deep fryer and once I happily let them cool off, they were great – probably the best part of the meal. As for the sides I ordered, the “bbq slaw” wasn’t the Lexington style slaw its name would indicate but made in the eastern style of the pork with mayo and a little mustard. The brunswick stew needed salt but at least the veggies didn’t taste like they were originally frozen. They did have Sun Drop from a soda fountain, so props on that. 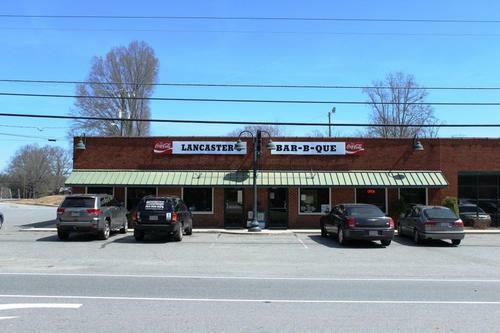 Lancaster’s BBQ has another location further north in Mooresville, but I won’t be rushing there any time soon. 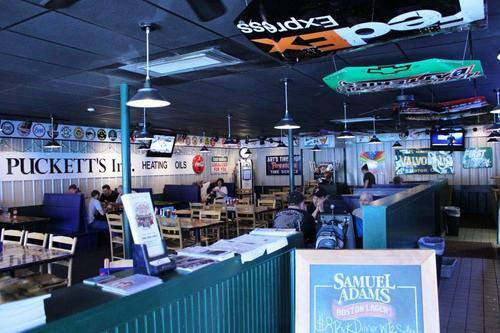 If for some reason I happen to be in the area (unlikely), maybe I will check it out since it’s a quick meal with friendly service. 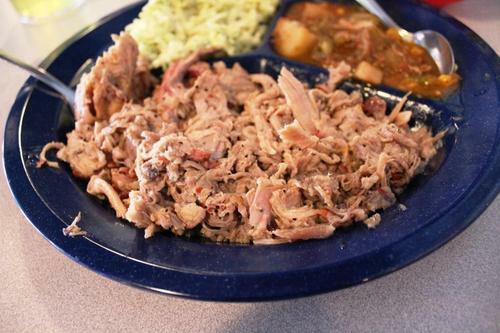 ← Only 5 Days Left to Pledge to The Great NC BBQ Map!